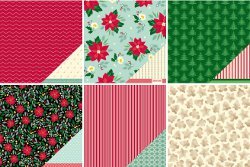 If you want a kit or collection that will answer all of your Christmas crafting needs, you have to check out the Kringle and Co. line from American Crafts. The most striking feature of this collection is its versatility. 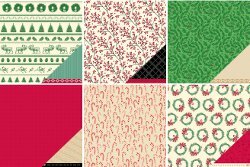 Whether you like traditional or whimsical holiday crafts, you’ll find the designs you’re looking for in this collection. 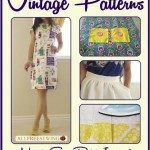 You’ll also find materials for an assortment of different projects. 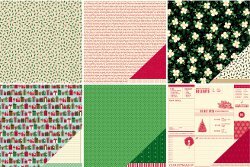 Whether you’re wrapping gifts and making cards leading up to Christmas or scrapbooking memories after the holidays, you’ll find the papers and embellishments in the Kringle and Co. collection indispensable. 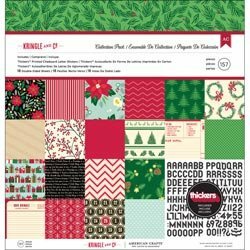 The Kringle and Co. paper line has an eclectic feel that lends itself well to all kinds of Christmas craft projects. 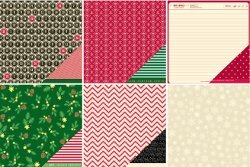 You can find bright floral pages full of poinsettias or subdued, neutral pages with tiny prints of reindeer. Abstract patterned pages like candy stripes and chevrons that mimic the texture of knit fabric form the more basic papers in this collection. Pages of text feature lines from The Twelve Days of Christmas and The Night Before Christmas, giving the line a touch of nostalgia. One of our favorite papers in this collection is the letter to Santa template, addressed to Kris Kringle in the Christmas Village at the North Pole. This would be a perfect for way for parents to immortalize their children’s Christmas wish lists in a scrapbook. 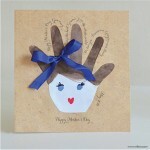 AllFreeHolidayCrafts.com is giving away a Kringle and Co. Kit to two lucky winners. You could win! 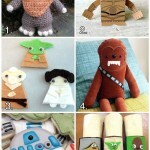 Contest ends November 20, 2012. You can enter once daily, so return often to improve your chances of winning!